Fans and the media had been speculating about a sixth season since before Season 5 even started airing. In comments to Ausiello of EW in August 2009, Kripke confirmed he would wrap up the apocalypse storyline in Season 5: "I’m looking at this season as the last chapter in this particular story. That doesn't mean there can’t be a new story." On January 10th, 2010 Ausiello reported that Dawn Ostroff, president of the CW and Kripke had done lunch, and reported that Dawn Ostroff says Supernatural creator Eric Kripke is warming to the idea of a sixth season. On January 15th Kripke did speak about his vision for a sixth season, when asked how he would "top the Apocalypse"
Well, the trick is to not go big but go intimate – at least those are the initial conversations we've had [if the show is picked up for a sixth season]. We always set up this five-year storyline, because in my heart of hearts, I just never imagine we’d actually go five years, much less beyond. We are going to climax the storyline and really wrap up the story of Satan and Michael and the apocalypse. The big question is, how do you follow that? We look at this as a unique challenge but also an opportunity to really launch a new storyline next year. We’re almost looking at it as the sequel to a movie. Rather than as a lot of genre shows do as they get on in years, becoming so convoluted and almost collapsing under their own mythology and getting to the point where you just can’t follow any of it anymore, we’re really looking forward to the opportunity of just sweeping it all clean and starting over with something else. We talk about returning to a stripped-down version of the show that’s almost similar to season one, in which the mythology was just as simple as finding their father and finding something that’s really personal and meaningful to Sam and Dean. One of the things that’s hard about the end of the world is sometimes it’s hard to have your characters emotionally connect with it, because it’s so big. But if their emotional storyline for, say, season six is to save a loved one, then that’s something you can really understand and get behind and actually have some really emotional storytelling that takes you through a lot of the scary episodes. Cinema Spy reported on 21 January 2010 that Season 6 was confirmed, but other sources were quick to deny it. 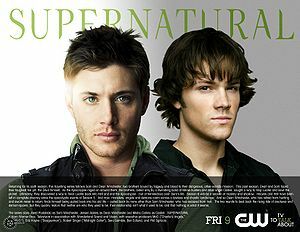 Sell sheet poster from the CW Upfronts May 2010. 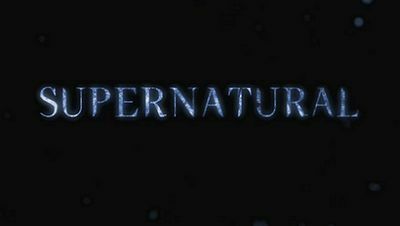 On February 18th Following months of speculation and rumours, it was confirmed that Supernatural will return for a sixth season on the CW. 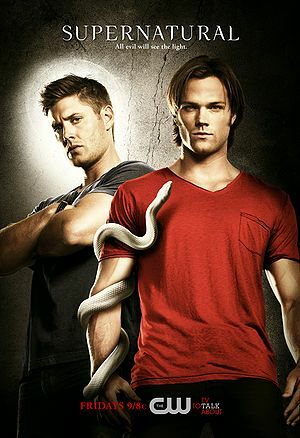 The network also renewed fan favorite SUPERNATURAL, which will enter its sixth season next year. SUPERNATURAL has one of the most loyal audiences of any show on television and does heroic work in a perennially tough time period. It has improved over last season among women and adults 18-34 (29% and 8%, respectively) this season, a remarkable accomplishment for a fifth-year show. Excitement at the news saw Supernatural reach #5 on trending topics on Twitter. Michael Ausiello reports that both Eric Kripke will step aside as show runner to devote more time to new projects with the WB. Sera Gamble is promoted to showrunner. Ausiello reports a source saying: “Eric and Bob will be working very closely with Sera. They are not abandoning the show." Maureen Ryan of the Chicago Tribune got confirmation of Kripke's ongoing involvement and asked Sera about whether Season 6 would be "The Apocalypse 2: The Squeakquel". "No, you will not be getting Apocalypse, The Squeakquel in Season 6 (that's hilarious)," Gamble wrote. "We're climaxing that story this season. We've been working on the Season 6 storyline for quite some time, and we're very excited about it. We have lots of ideas, and are grateful for the chance to keep the show going. "Please tell the fans that the writers say thank you! We so appreciate the support." Will Misha appear in Season 6? May 4, 2010 From TV Guide via Digital Spy. Gamble also revealed that she is looking forward to working on the sixth season of the show. "We'll go intimate and personal and, now that we've buttoned up the big destiny versus free will debate, explore a whole new set of questions," she said. "We're chomping at the bit." 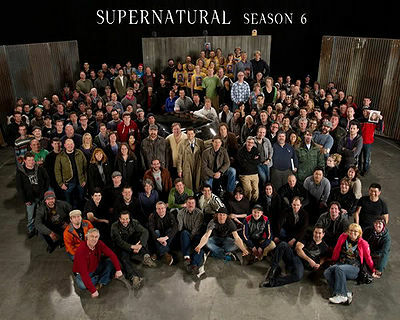 Cast and crew at the end of Season 6. “I was just talking to Josh Jackson (currently of Fringe) who did six years on Dawson’s Creek,” Ackles said. “He goes, ‘You are moving into your sixth season (on Supernatural), aren't you?’ And I did the sixth season of Dawson’s Creek with him. In an interview with a Brazilian magazine Jensen talks about directing an episode in S6, and about where the Season will pick up. When the Apocalypse was averted and Supernatural looked over the horizon of its original story arc, the decision by the creative team of showrunners Sera Gamble and Bob Singer along with creator Eric Kripke to take noir as the inspiration for Season 6 seemed like a natural progression. Pages in category "Season 6"
Media in category "Season 6"
The following 303 files are in this category, out of 303 total. This page was last edited on 6 December 2014, at 10:02.